. Published on May 31, 2009 . 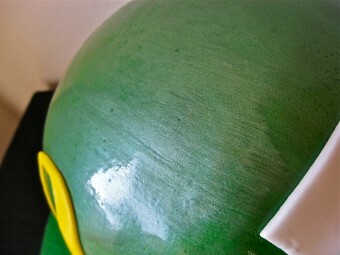 I was just super excited to do this cake for a client. 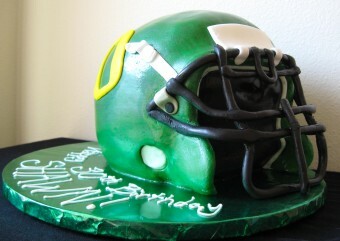 I am a HUGE Oregon Ducks fan as is my family. The cake was a challenge because it was super hot this week and the filling was milk based so I had to keep the lil’ guy chilled. I hand painted on some edible shimmer dust to really give it that plastic shine. I was really happy with how it turned out. 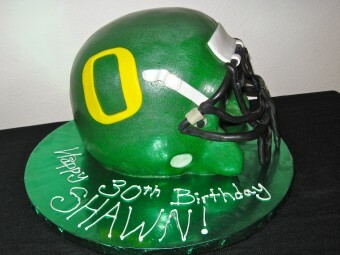 how much is this oregon ducks cake? i made a cake for my hubby last year on his b day themed oregon ducks but this one is sooooo much better. i live in grants pass… i dont even know where you are most likely in eugene im guessing…. so how much and is it possible to get a cake to g.p?